Built for patrol duty, the dual-output SureFire P1R Peacekeeper is a compact rechargeable LED flashlight that shares many commonalities with the popular two-cell P2X Fury. 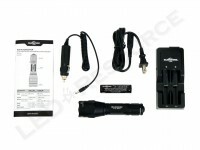 As an entry-level rechargeable light, the P1R offers simple and reliable operation at a more reasonable price point. 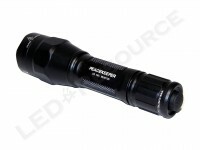 The P1R can be powered by the rechargeable lithium-ion battery, as well as two primary 123A batteries, for a maximum output of 600 lumens on either power source. Like the Fury series, the P1R is available in both dual-output (Peacekeeper) and single-output tactical (Peacekeeper Tactical). 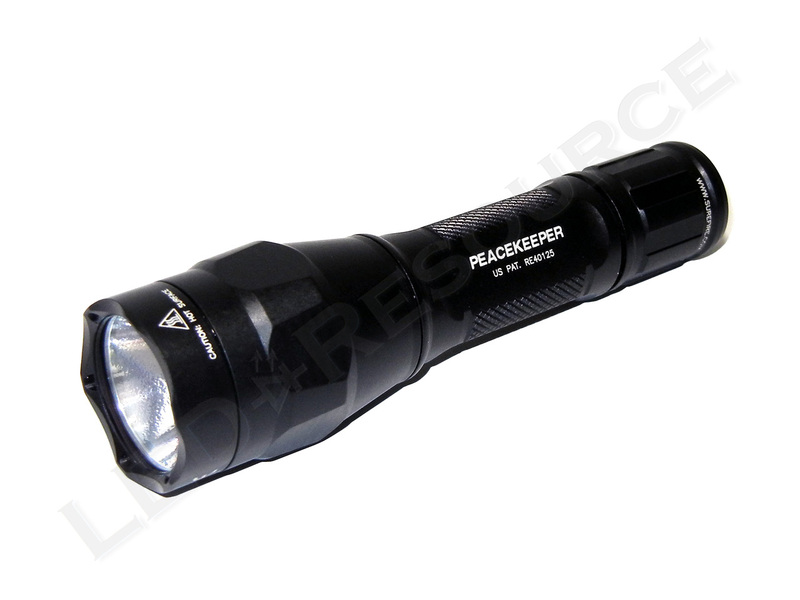 MSRP for the P1R Peacekeeper is $250, and the light is only available in black. Both variants, the dual-output Peacekeeper and the single-output Peacekeeper Tactical, have the same MSRP and similar features. We received our P1R in pre-production packaging, but production models will come in a box with similar contents, including: SureFire P1R Peacekeeper, 18650 lithium-ion rechargeable battery, lithium-ion battery charger, AC cord, 12V cord, and user manual. Differentiating the P1R from the P2X is that the P1R is designed to accommodate a single lithium-ion battery (18650). 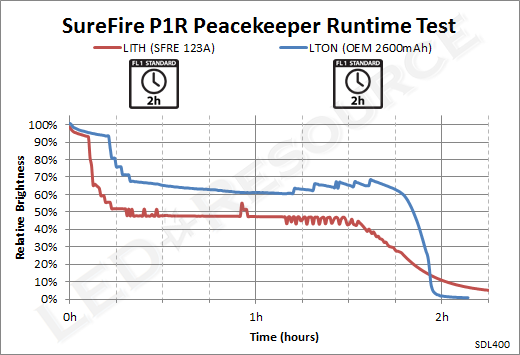 If the lithium-ion battery is depleted, the P1R can also use 2 x 123A lithium primaries as a backup power source. Lithium primaries are slightly narrower than the lithium-ion battery so there can be some lateral movement, but this doesn’t affect operation other than a slight rattle when the light is shaken aggressively. To charge the 18650 lithium-ion rechargeable battery, remove the battery from the P1R and insert into one of the two expandable bays in the charger. 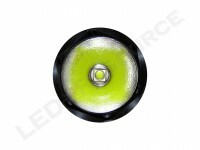 When the indicator LED turns green, the battery is charged to 90% capacity (which could take up to 5-6 hours). For maximum battery longevity, we recommend removing the battery from the charger once it reaches 90%. The P1R has a length of 5.5”, which is only slightly larger than the P2X, and shares many styling cues from the R1 Lawman that differentiates the P1R as a rechargeable model. The aluminum body is type-III anodized for protection against scratches and corrosion. The P1R has four small bands of knurling on the body, unlike the Fury series that can be slippery to hold. Ridges, which are similar in design to SureFire’s other rechargeable LED flashlights, provide grip for twisting the tail cap. On our dual-output Peacekeeper, the tail cap houses a typical forward clicky switch. On the single-output Peacekeeper Tactical (not shown), the tail cap is slightly shorter and houses a tactical “press for momentary, twist for constant on” switch. 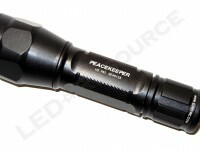 Two output levels can be activated using the tail switch on the dual-output Peacekeeper model. A single press or click will activate maximum output. Two presses or clicks within two seconds will activate low output. 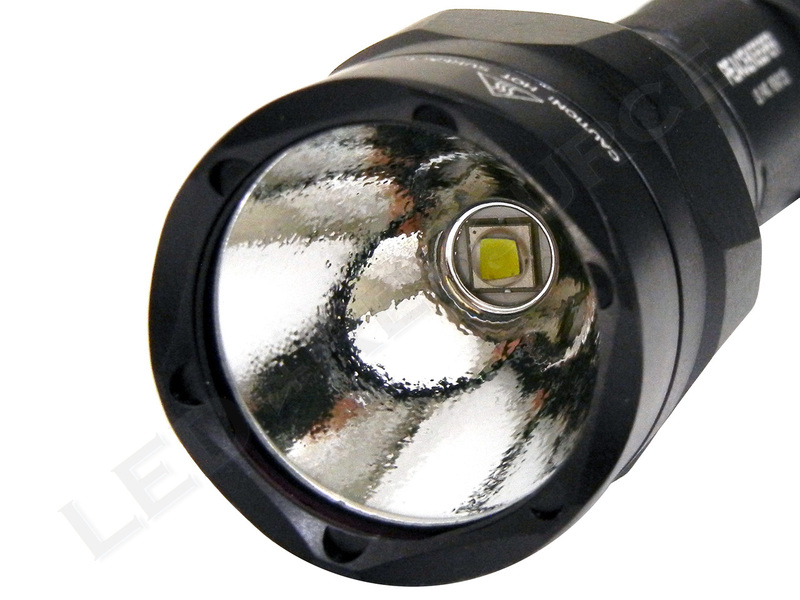 Using a Cree XM-L2 LED, the P1R receives a modest boost to 600 lumens of maximum output due to higher efficiency compared to the original Cree XM-L, which produces 500 lumens in the P2X Fury. 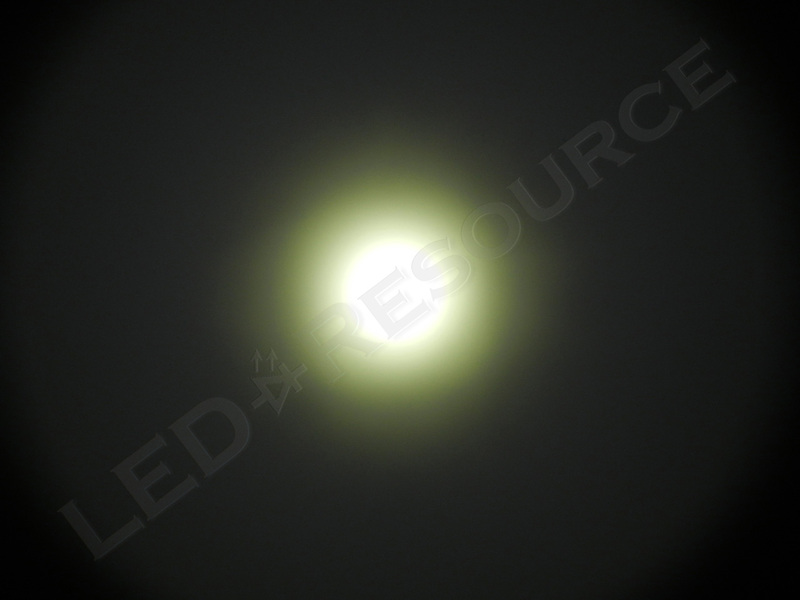 The P1R produces a smooth and clean beam pattern, much like the wall of light that the P2X is well known for. 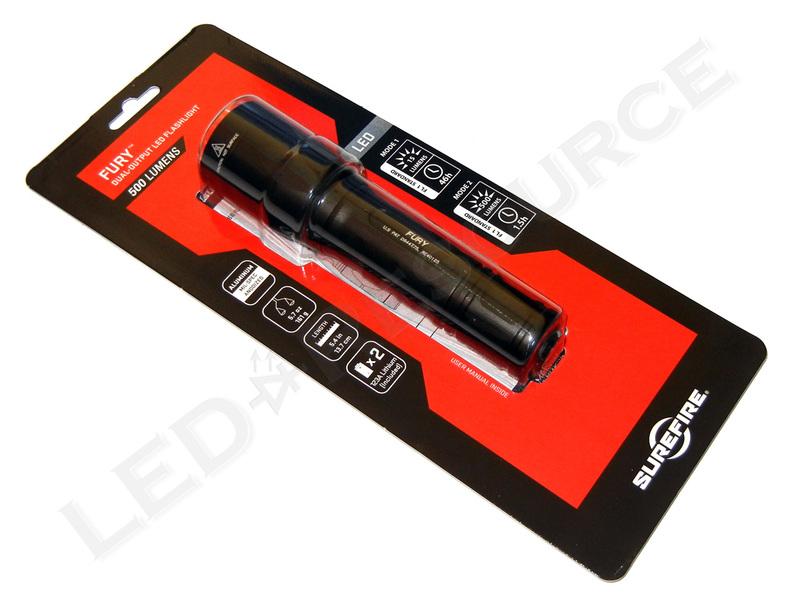 SureFire rates the P1R’s maximum output using tactical runtime and low output as total runtime until battery exhaustion. For the P1R, tactical runtime is essentially the same as ANSI FL-1 Standard runtime (50 lumens = 8.3%). When using the rechargeable battery, the P1R maintains 95% output for 10 minutes before gradually dropping to 60% over the next 10 minutes. When using primary lithium batteries, the P1R maintains 95% output for 5 minutes before gradually dropping to 50% over the next 10 minutes. 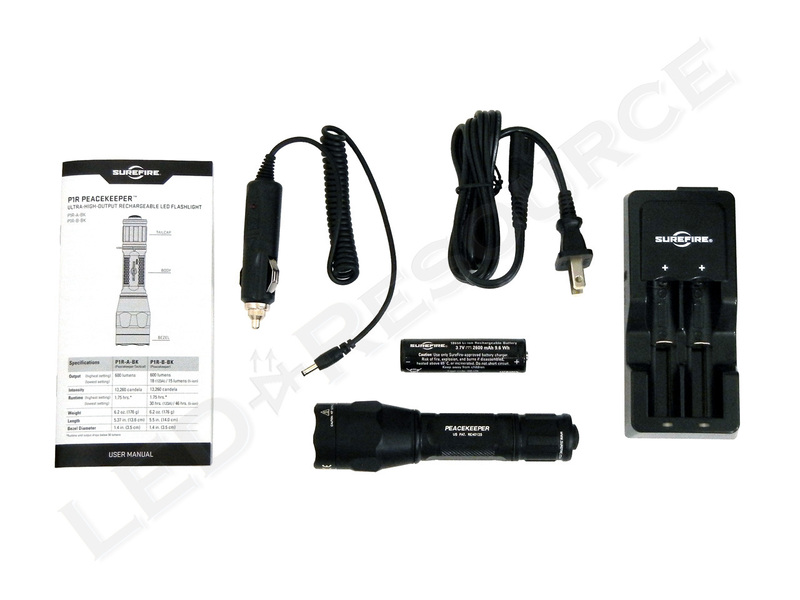 Due to this step-down regulation for power conservation, the P1R is able to provide nearly two hours of tactical-level output with either power source. 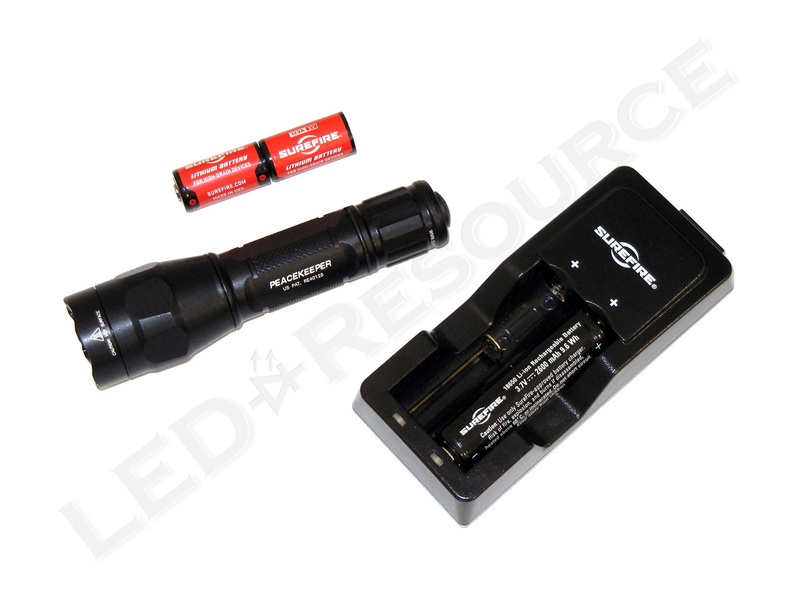 Given the popularity of the SureFire P2X Fury, introducing an entry-level rechargeable that combines high-output performance with rechargeable economics certainly makes a lot of sense for SureFire. Primary batteries are expensive, especially for professionals who operate their lights frequently and constantly need fresh batteries. 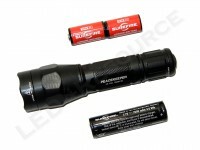 The SureFire P1R Peacekeeper lacks some of the bells and whistles found on other SureFire rechargeable lights, such as being able to charge the battery in the light or having a Fuel Gauge status LED, but the P1R retains its compact size and has roughly the same dimensions as the P2X. 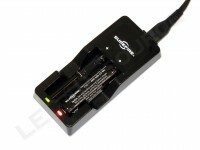 Without the ability to charge the battery in the light (which usually requires a proprietary connector that has both battery terminals on the same side), the P1R readily accepts regular 123A batteries in place of the lithium-ion battery. The convenience of being free from adapters makes primary batteries truly a viable alternative, and output regulation ensures long runtimes even on 123A’s. Another benefit of charging batteries outside of the light is that spare batteries (available late October 2014) can be rotated so that the P1R is never waiting for charging to complete. If price has been holding you back from owning a rechargeable light, the SureFire P1R Peacekeeper is an ideal choice because of its compact size, flexibility with battery types, and of course, affordable pricing. I disagree with you on the “Cons”; it has been my experience that a duty flashlight that you need to take the battery out of to charge is most likely to stay ready for duty. 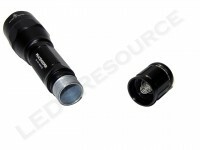 This is a flashlight aimed at cops who work “nights”. Having a battery that you can remove “encourages” owners to buy a second battery, thus when the first one goes down you simply pop in the second one (provided you were smart enough to charge it on your off time or you have a “fast” charger). The alternative of having an enclosed battery means that you need to buy a second flashlight, and sometimes that is just too expensive. I prefer to swap batteries for charging myself, so I definitely agree with you. I don’t personally consider it a drawback, but it can be an issue for those who prefer convenience and may already be carrying a backup light. I just wanted to point out the need to remove the battery, as most rechargeable systems do not require this step. The Stinger is one of the best rechargeable systems on the market, and part of its success is having both cradle charge and the PiggyBack spare battery charging. Unfortunately, most lights are one or the other – either cradle/cable charge only (more convenient, less practical), or battery charge only (less conveinent, more practical). As stated the P1R can operate on one(1) Li-ion rechargeable battery 18650 rated @ 3.7v, 2600mAh, 9.6 Wh or two(2) Lithium 123A rated @ 3v each = 6v. If I use two(2) NITECORE RCR123A Li-ion rechargeable battery rated @ 3.7v, 650mAh, 2.4Wh each = 7.4v… What will happen to the LED on the flashlight? Thank you for your time and effort. I haven’t tested that configuration, but given that the light works with 2 x LFP123A (3.2V), you should be able to use RCR123A without issue. However, with the low capacity of RCR123A, there won’t be any significant benefits of using that configuration. Runtime will be halved, as two RCR123A has 4.8Wh, whereas the OEM 18650 has 9.6Wh. I haven’t had any issues with heat, the P1R has slightly lower output and a more efficient LED, so less heat is produced. The R1 has slightly more throw due to having a larger reflector, but the difference isn’t significant. 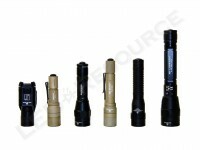 Yes, the Streamlight ProTac HL is comparable to the SureFire P2X and P1R. Thank you for the reply. I do not want to be aggressive but an NITECORE RCR123A Li-ion battery rated at 3.7v and when freshly charge could spike to say 4.4v. Can the LED on the P1R survive to accept such a high rate of voltage… 4.4v times 2 equals 4.8v? Thank you. If your batteries are at 4.4V, you are overcharging them. Either way, the batteries will not be 4.2V when under load. 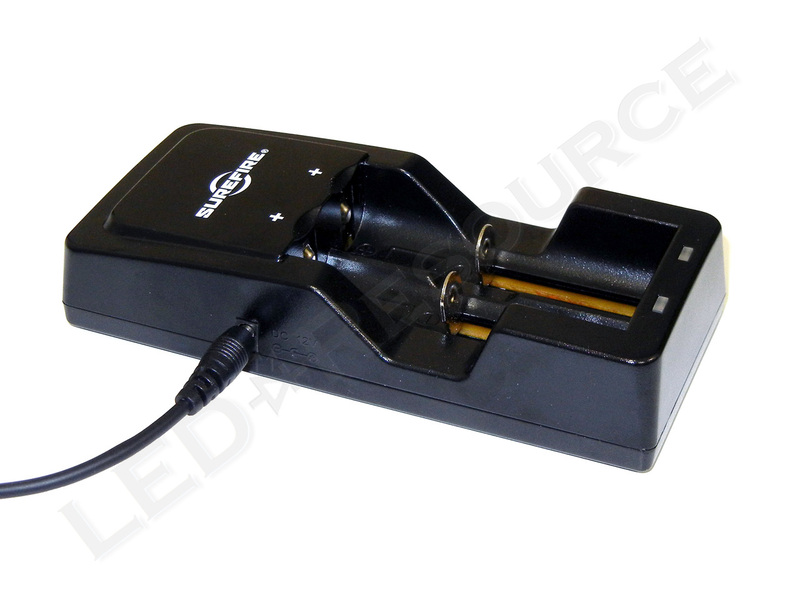 Furthermore, there is regulation circuitry that reduces (or increases) battery voltage to the appropriate amount, so the LED won’t be receiving battery voltage. There are voltage limits for the regulation circuitry, and I haven’t tested RCR123A batteries in the P1R, but I expect it to be similar to the P2X. Users have been using RCR123A with the P2X without issue. Thanks Robin on the RCR123A batteries. Will the p1r accept a higher capacity 18650 ? Yes, higher capacity will be fine. 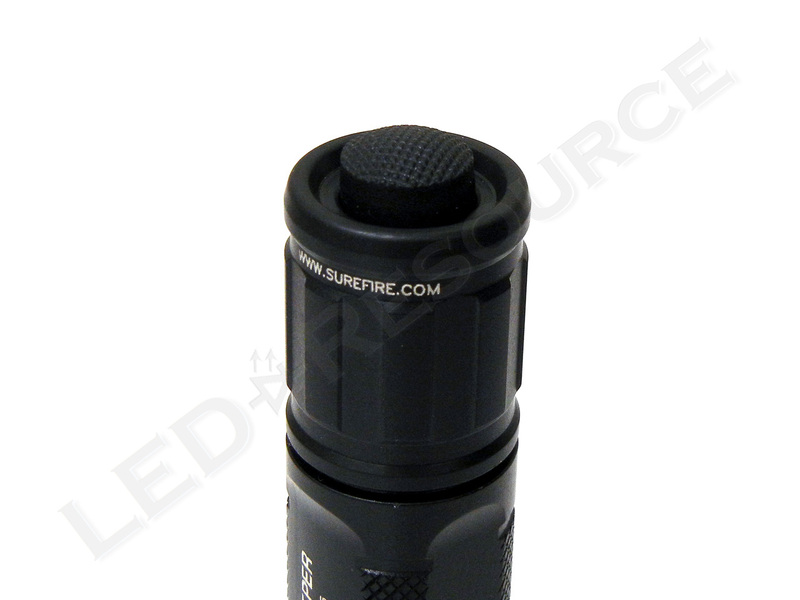 When will the 18650 be available from Surefire? We’ve only tested the P1R with lithium-phosphate LFP123A, which work fine. Personally, I wouldn’t recommend lithium-ion 123A, as they will provide less runtime and present a greater safety risk. No! UltraFire batteries are unsafe to use in general due to poor quality control, and they even resell recycled cells. There also aren’t any 18650 batteries capable of 4500mAh, the highest available is 3600mAh from Panasonic. 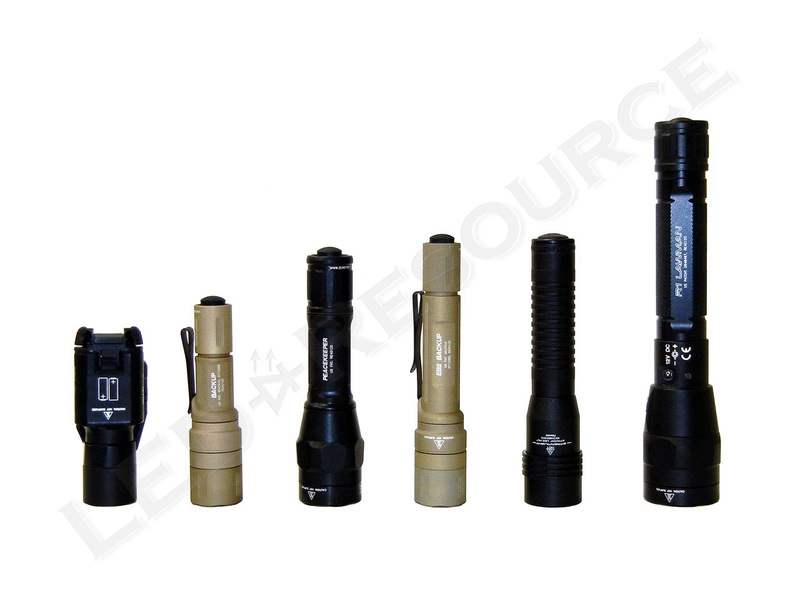 I would recommend sticking with name-brand cells or ordering a spare from SureFire. Safety always comes first.